The Indian stock market history is filled with rags to riches stories, where the investors have made money by selecting the right stock at the right time. This helps you to be on the top of the game, but how? By choosing the stocks depending upon the risk appetite! Contrary to the popular belief, there are certain mutual funds that satiate the appetite of risk- hungry investors like SBI Small and Mid- Cap Mutual Fund, Mirae Asset Emerging Bluechip Fund, Franklin India Smaller Companies Fund, Canara Robeco Emerging Mutual funds, Aditya Birla Sun Life Pure Value Fund, all these funds have massively performed and have beaten the records with their robust performance and returns. Apart from that, if the investor is willing to take a higher risk, they can invest in small-cap funds like HDFC Small Cap Funds, L&T Emerging Business Fund. But remember to review the portfolio once in a year. Balanced Mutual Funds- Blame it on the recent categorization of mutual funds by SEBI, the balanced mutual funds has turned into an aggressive hybrid scheme. Though the scheme hasn't become extra aggressive as many investors think so, lately these schemes have started taking extra risks to offer good returns. Aggressive Hybrid schemes are meant for such investors. These schemes invest mostly in equity and a small amount of portfolio in debt. Equity Savings Scheme- In this, the fund managers will invest the amount in equity, debt, and arbitrage. These schemes invest 65% of corpus into the equity assets and minimum in debt and minimum hedged and unhedged amount. 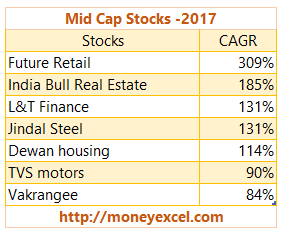 Stocks- There are several equity stocks from different industries that have delivered a handful of returns on the Dalal Street over the past decade. The stocks like VIP Industries (Rs 402.50), Safari Industries (Rs 625) has gained as the disposable income of the individuals have swelled up. Apart from the luggage makers, there are certain other stocks that have kept the investors' money ringing in like MRF stock, Petronet LNG, Gabriel India, IT and tech stocks Emami, to name a few. Small banks offering higher interest rates- The new age banks and financial corporation are doing their best to woo the customers by offering them remunerative options. 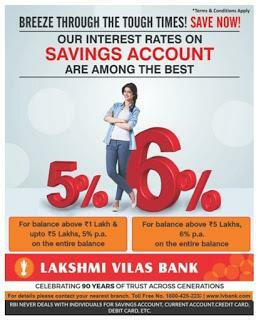 So, if safeguarding the capital and savings is not in your priority list or you wish to gain more returns than opening the saving bank account in banks e Lakshmi Vilas Bank will fetch you returns of 5% on the saving deposits and same is the case with the fixed deposit. A three year fixed deposit with AU Small Finance Bank can offer you a 7.3% returns while a similar investment in the private bank like HDFC can fetch you 7% returns. After the demonetization drive, even the regular investors who shy away from taking risks are trying to invest their hard-earned money in the stock market to get the returns. SIP- Systematic Investment Plan is the best route through which the customers with low-risk appetite can invest in the stock market. The SIP offered by Aditya Birla, SBI are some worthwhile options to try for. But the small investors should not stop investing in SIP when the market is down. NPS Funds- This investment offers returns depending upon the risk appetite of the investor. If you are an investor following a balanced approach and want stable returns without taking much risk then it could prove to be a reasonable option. Though you may not earn double digit returns, but it is fairly good. 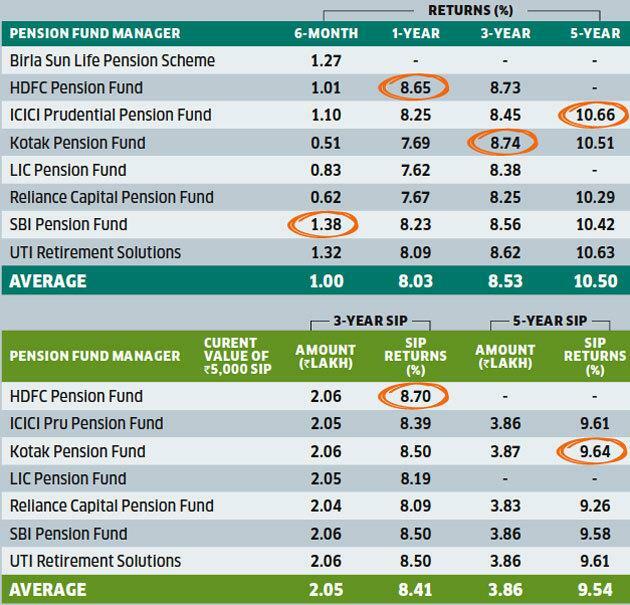 Here we have enlisted some of the best performing NPS funds. Apart from that, you'll receive the tax benefits under section 80 C too. 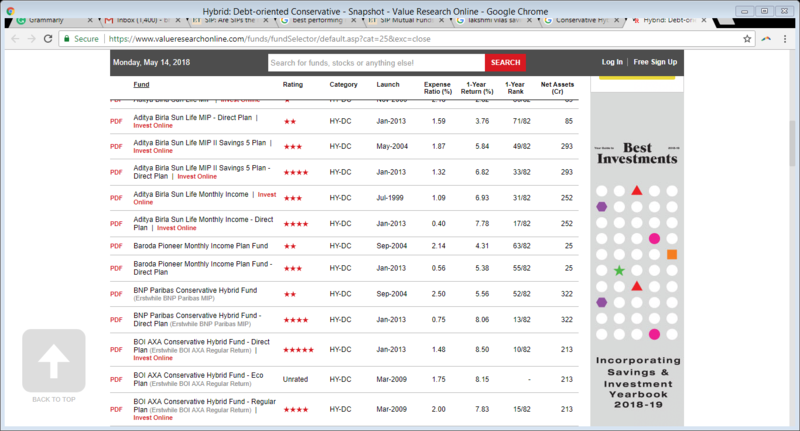 Conservative Hybrid Funds- In these schemes, the majority of the investment approx. 75-90% will be done through the debt instruments. Balanced Hybrid Funds- In these schemes the fund manager invests 40-60% of total portfolio in debt. They are not allowed to invest in arbitrage.